Located on Cowbridge Road in Cardiff, Bangkok Cafe offers a vibrant and authentic Thai experience in the heart of Cardiff City Centre. Our dishes bring the fun element to Thai food; each dish is served on an array of colourful plates, showing the true nature of Thailand. All of our dishes are made to order and created in-house all by Thai chefs. When plating the food, each dish is designed to bring a well-balanced personal eating experience. Our ingredients are sourced by local suppliers; Rogers & Sons Butchers, Celtic Coast Fish Mongers and Chef’s Choice Greengrocers. 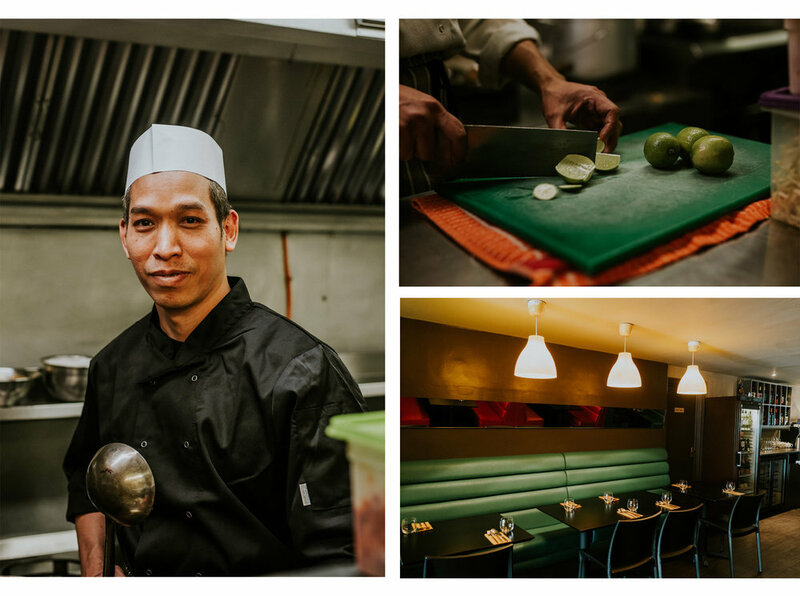 All aspects of our dishes are created by our Thai kitchen team, from dipping sauces to our marinades, it’s all created at Bangkok Cafe!